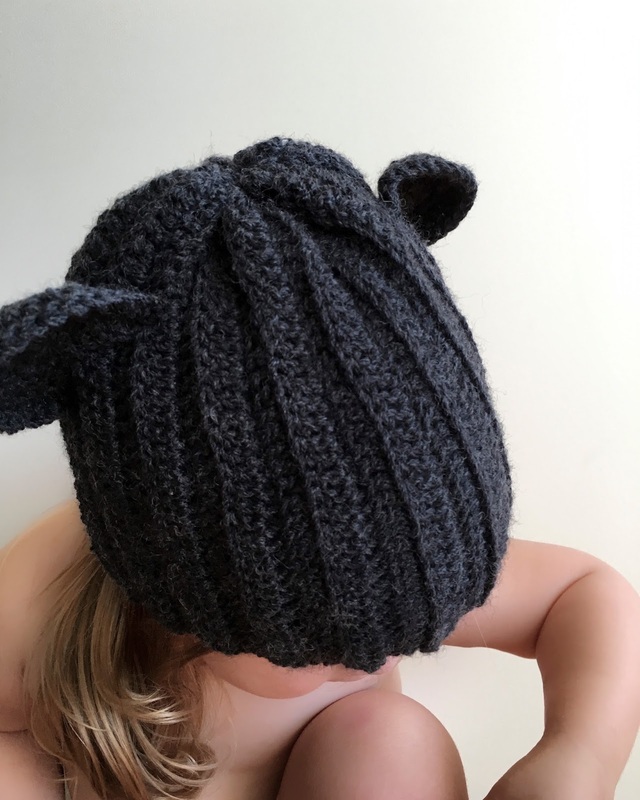 loved handmade: a bear hat..
Why is it that until recently, only one out of four of my children will wear my wares? The middle guy has always been a fan, the biggest never and the little guy only took a shine to my beanie's last winter. You can imagine how excited I was when that happened! 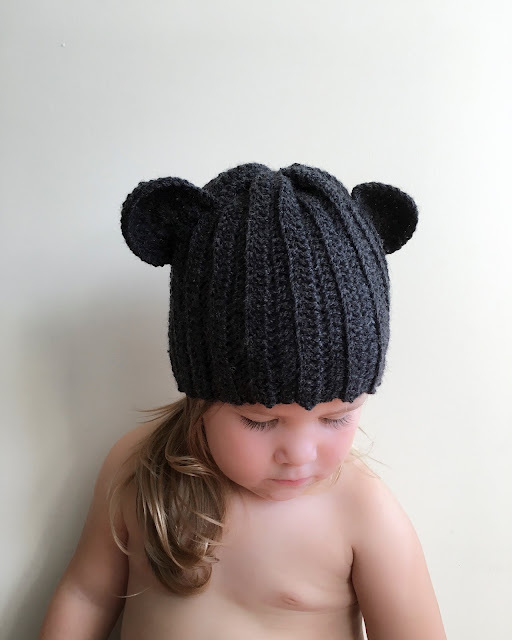 So when this little girl saw the gorgeous bear hat made by Charissa at Joyful Four, she was busting for me to get started on one for her too. I, naturally, was beside myself thrilled! Then I made it. She 'oohed' and 'aahed' as I kept measuring against her head for size. I thought, this might be the one. The one she wants to wear all winter long, the one she asks for me to make in every colour! Of course, that was delusional. As soon as I finished, she refused to try it on, and I've only just managed to get it on her head now with the lure of bandaids! Oh my goodness, so adorable, and what a gorgeous hat. But yes, I lol'd at your words, I daresay this is the way of the majority of kids - whatever is handmade with love seems to be rejected. Fingers crossed she'll grow to love it.